Graduating students enter the Paladin stadium. Pathik Pathak Founding Director of the Social Impact Lab, University of Southampton. Ernst and Young was the first prominent graduate employer to decide that its own entry criteria were a more accurate judge of job applicants than the degree classifications on their CVs. But similar moves away from a reliance on degree grades are now taking root at other big accountancy firms PwC and Deloitte, too. The latest Global Employability University Survey, published in November 2015, reinforces the message that employers are placing a lower value on degree grades. But the survey also appears to suggest that extracurricular activities are equally lowly regarded, with just 10% of European employers citing this as a criteria they use to make recruitment decisions. These results appear to contradict the findings of our ongoing research into the motivations behind the growth of social entrepreneurship – broadly defined as the act of blending social missions with innovative business practice, among university students in the UK. As part of our ongoing research we have asked 150 students across the UK who were taking part in extra-curricular social entrepreneurship to reflect on their experiences. They believed that these activities were not only complementing their degree programmes, but were even more valuable for their future employability than their degree programmes. Yet the most important criteria employers use for recruitment decisions, according to the Global Employability University Survey, is the skills profile of applicants. Over half of all European employers cited specific skills, including innovation, leadership, networking and design skills, as the most important factor in their recruitment decisions. Over recent years, societies such as Enactus, the global social enterprise organisation, has grown exponentially, with several university societies, such as those at my own university, Southampton, but also at Sheffield and Nottingham, doubling or tripling membership over a five-year period. We’ve also seen the rise of social impact societies such as Student Hubs, which offer volunteering and placement opportunities in local communities, as well as more subject-specific organisations such as Engineers Without Borders. Some of the growth of these societies should certainly be attributed to the rise of social and environmental consciousness among students, but there’s also emerging evidence of students making strategic decisions about how to use their free time outside formal teaching. Students are starting to discern between extracurricular activities which boost their employability – usually by developing soft skills or exposing them to new networks – and those that don’t. Such decisions are informed by the close relationship that some student societies have started to enjoy with corporate employers, such as KPMG, Deloitte, Waitrose and Barclays. Society alumni who have gone on to work for top-level graduate employers also feed their experiences back to university students. The kinds of skills cultivated through social entrepreneurship are linked to the soft skills that graduate employers have repeatedly told us they prize, but which they believe graduates lack. Chief among these are creativity, resourcefulness, team-working, innovation, resilience, IT skills, and innovation. 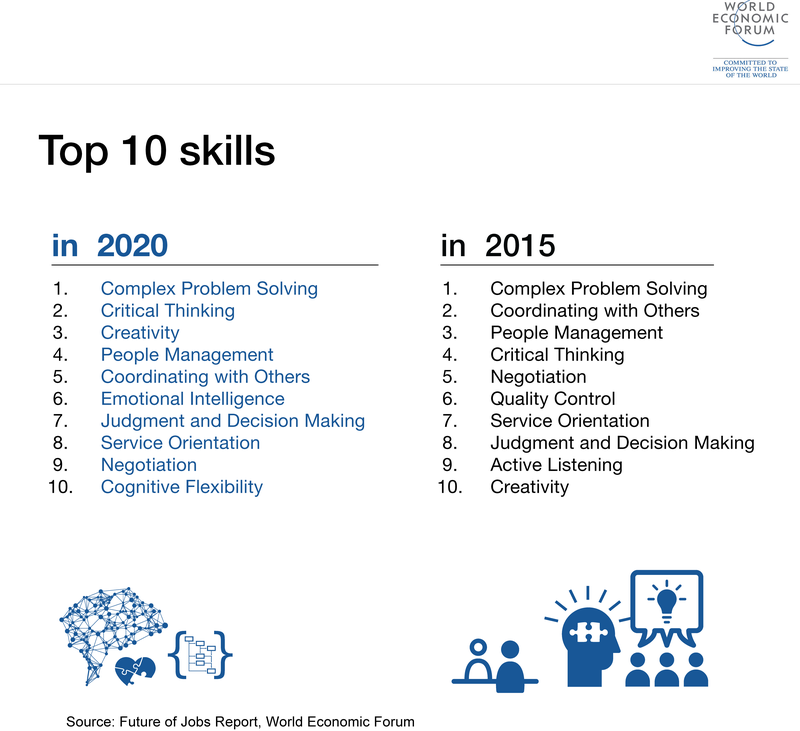 They are also the skills which will future-proof graduates against the changing nature of skilled work. Entrepreneurial extracurricular activities also offer students the opportunity to develop their professional networks. In an age in which “the post and pray” method of sending off CVs to find work is obsolete, adeptly mobilising networks is as critical as being able to demonstrate relevant knowledge and skills. As the importance of skills over qualifications grows for employers when they make recruitment decisions, there will be a greater need to properly distinguish between employment and employability. Employability cannot and should not be reduced to measuring how many graduates are employed. It should be understood as a blend of knowledge, skills and social capital, with employment a desired outcome but not the ultimate benchmark. Universities should not be content simply to offer students a leg up to their first job, but must set them up for careers that they value, and for resilience and flexibility in a volatile graduate labour market. Unfortunately, league tables of universities continue to privilege short-term employment data, ranking institutions on how many graduates have a job after six months, instead of looking at the skills they develop that could help them further into their careers. Our ongoing research indicates that students are seeking out opportunities to grow their skills and social capital through extra-curricular activities. Often, it is a self-selecting few who corral the best opportunities. Even among those who do, many struggle to articulate the skills developed outside the formal higher education experience – explaining why extra-curricular activities are accorded such little significance by European employers. To level the playing field, universities should be making the development of soft skills and network building a part of the curriculum. There are non-invasive, light-touch ways of doing this which might only require gentle tweaks to degree programmes and not place too great a burden on academics. At the same time, the message shouldn’t be that business as usual will suffice – it is incumbent upon universities to take the issue of employability seriously, and not leave it as an afterthought. Pathik Pathak, Founding Director of the Social Impact Lab, University of Southampton.